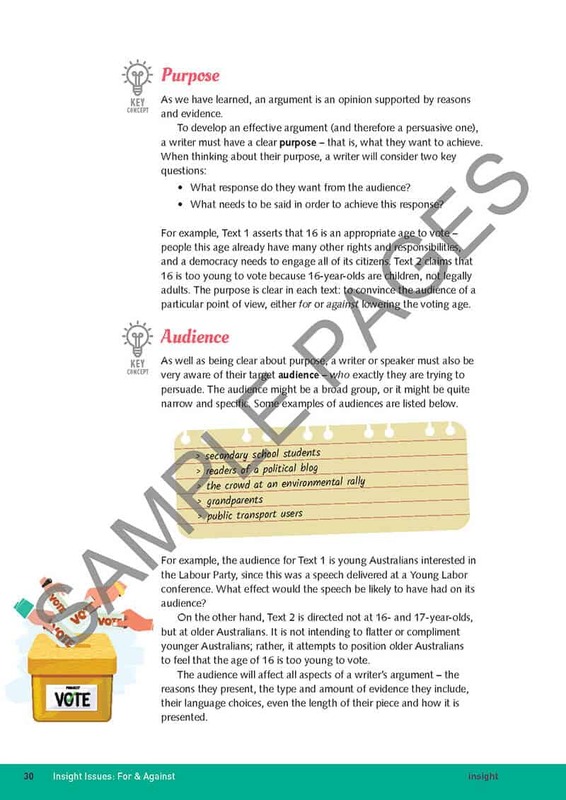 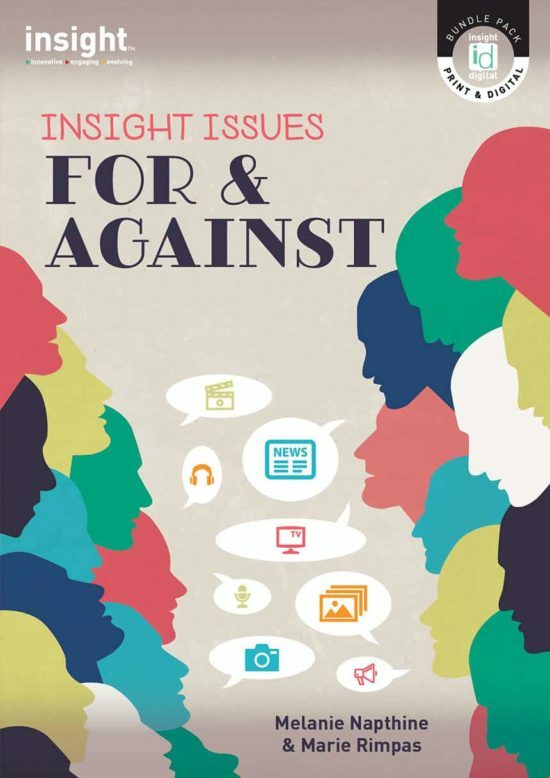 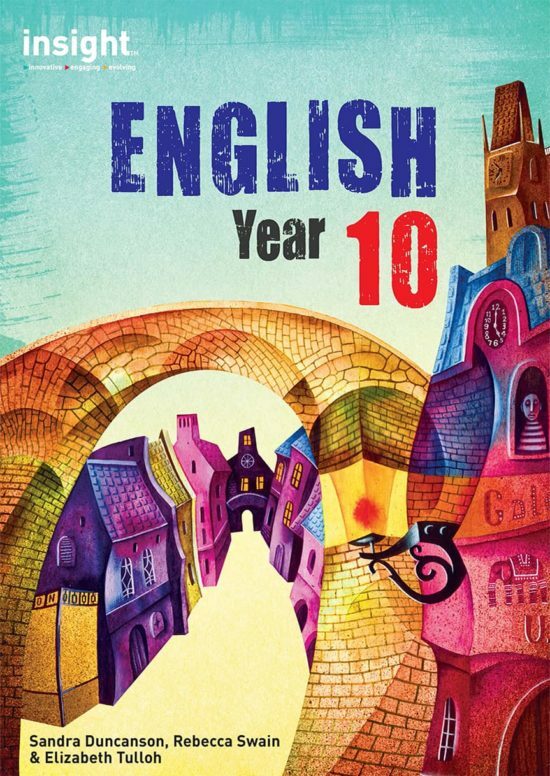 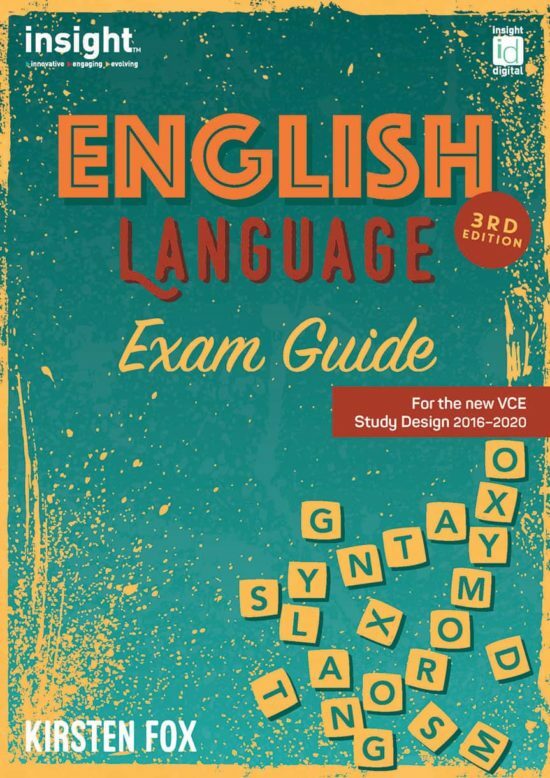 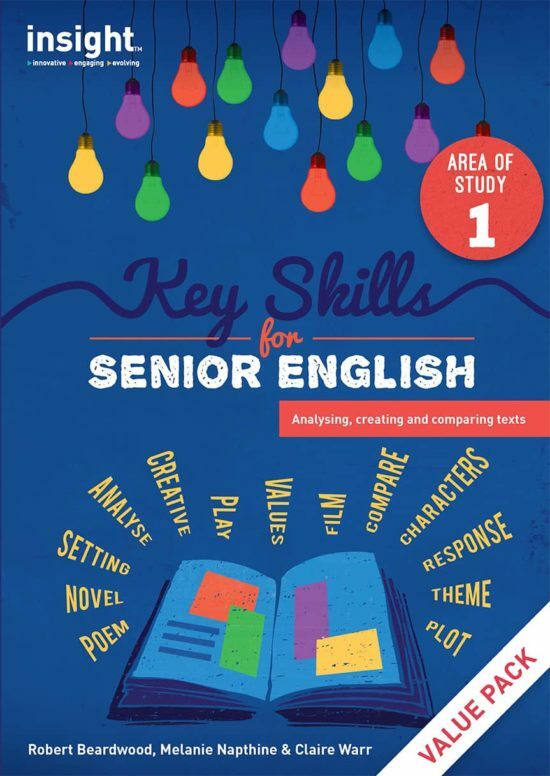 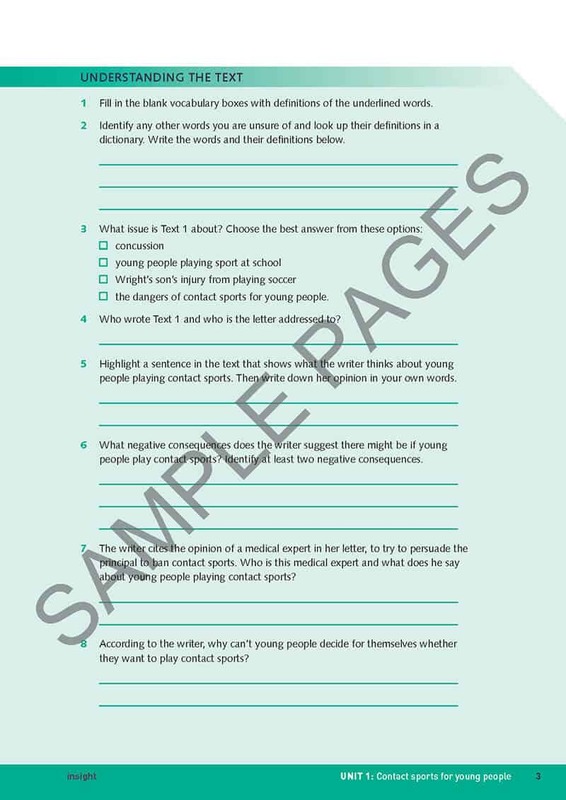 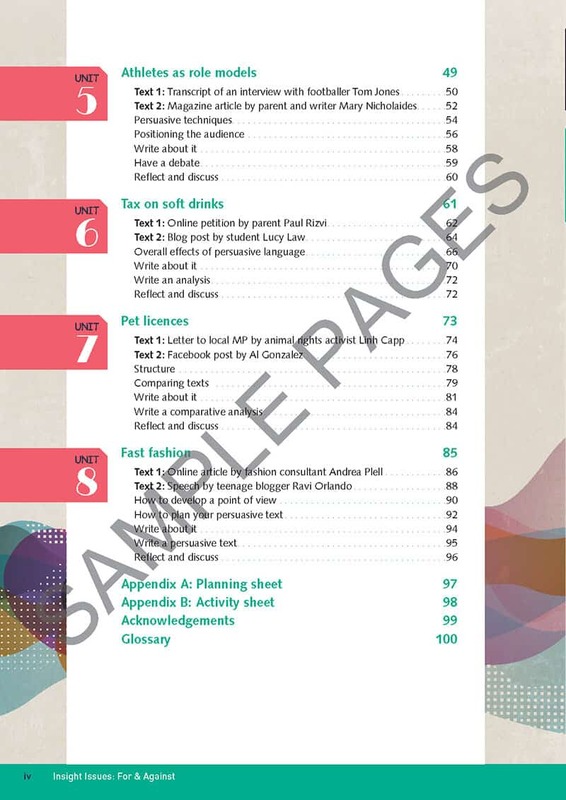 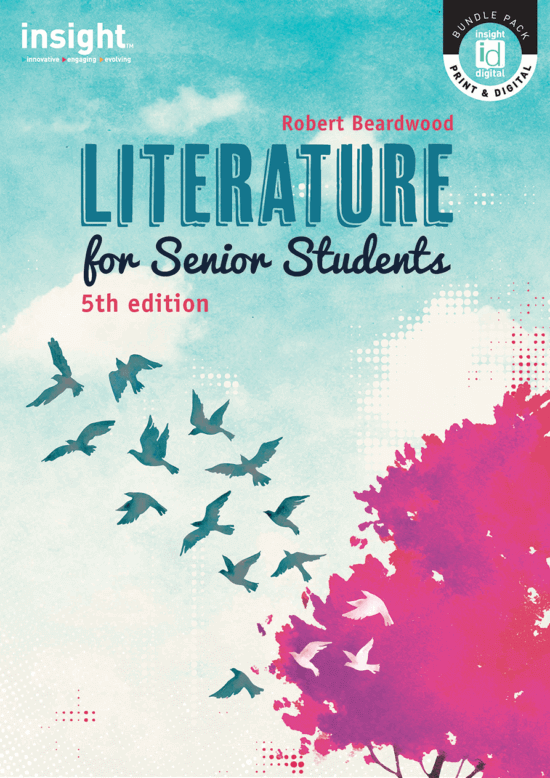 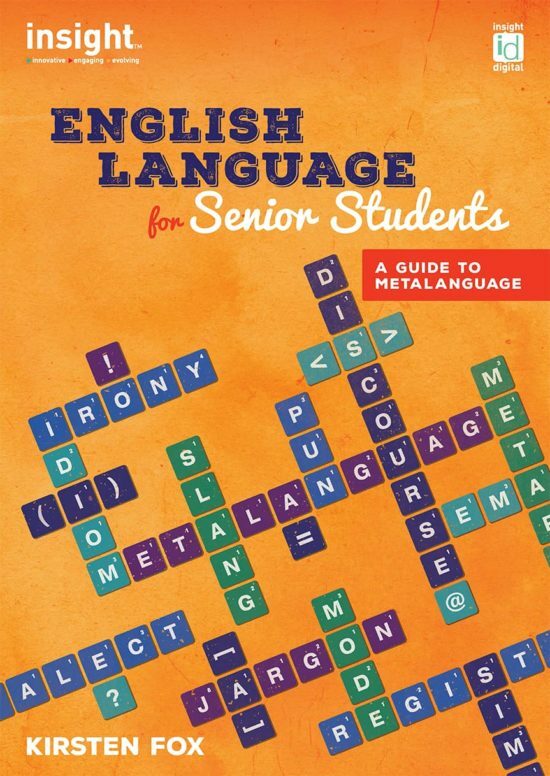 Aimed at students in Years 9 and 10, and providing excellent preparation for senior English studies, Insight Issues: For and Against focuses on understanding and analysing argument and persuasive language. 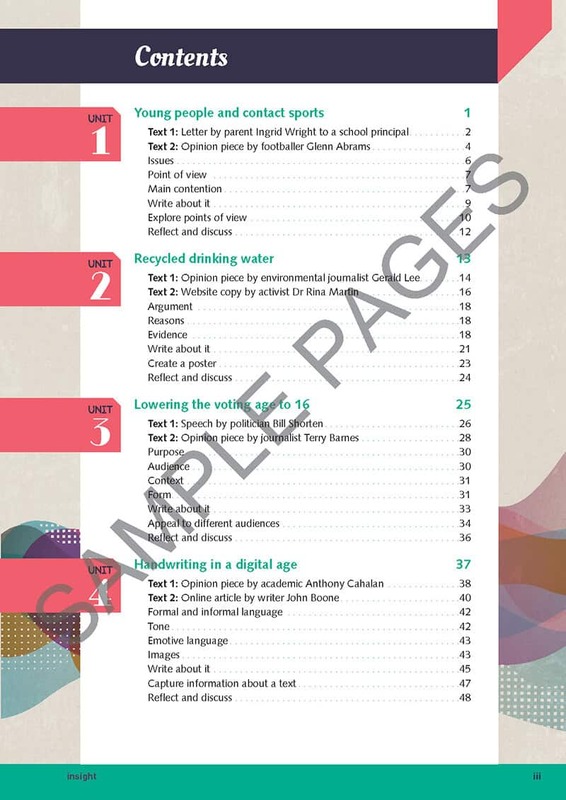 Each of the book’s eight units begins with two texts that present opposing points of view on an issue. 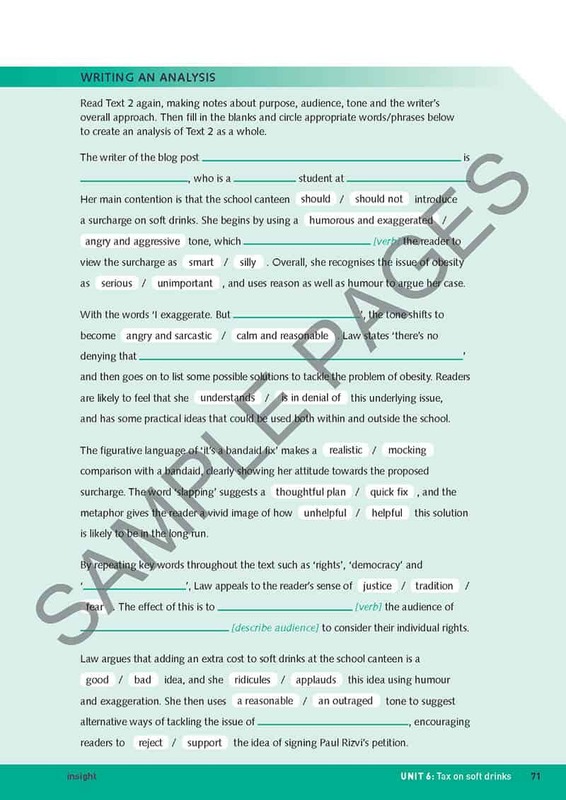 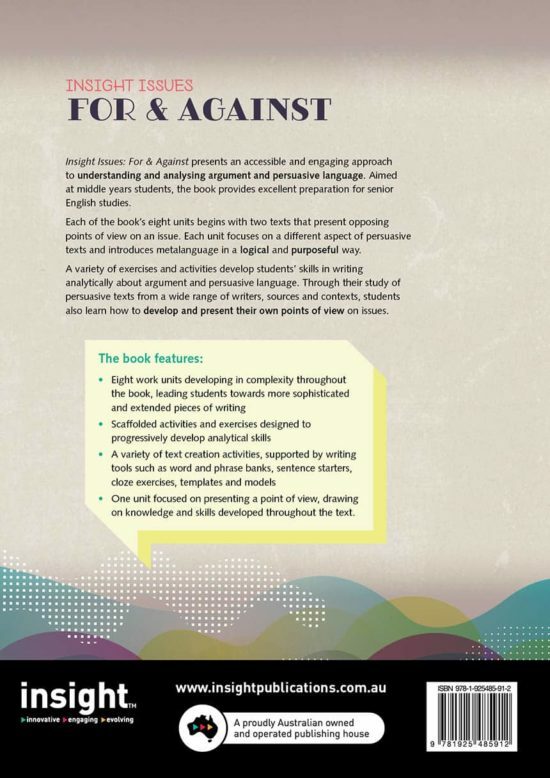 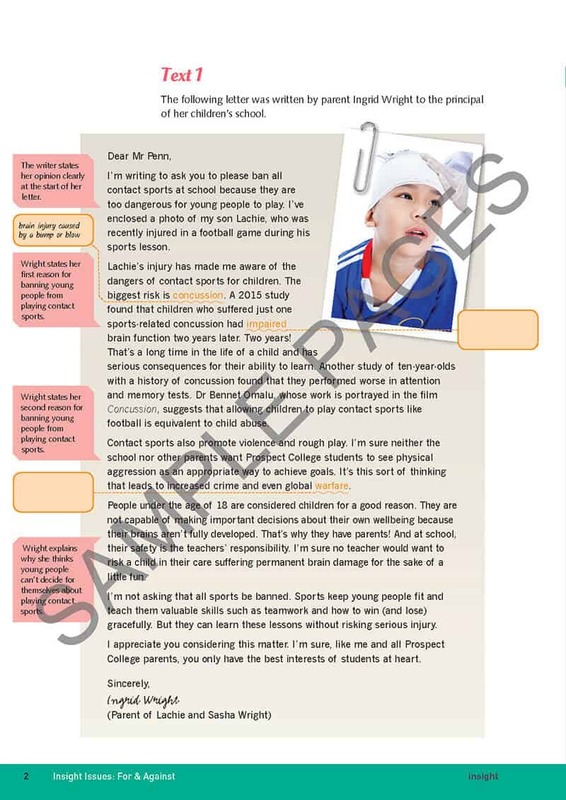 A variety of exercises and activities develop students’ skills in writing analytically about argument and persuasive language, and in presenting their own point of view. 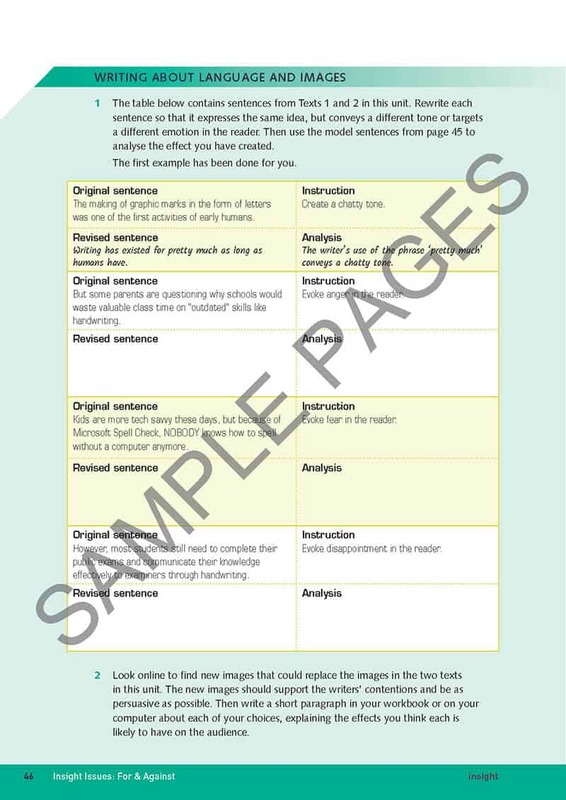 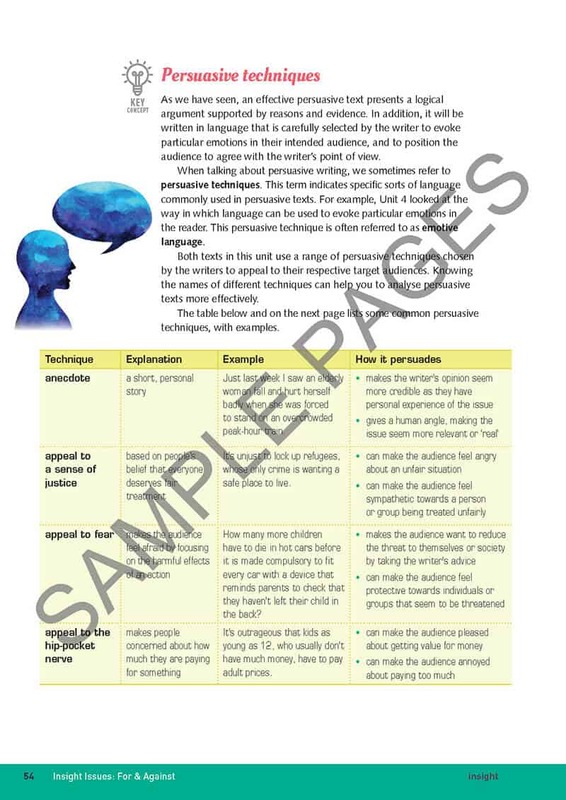 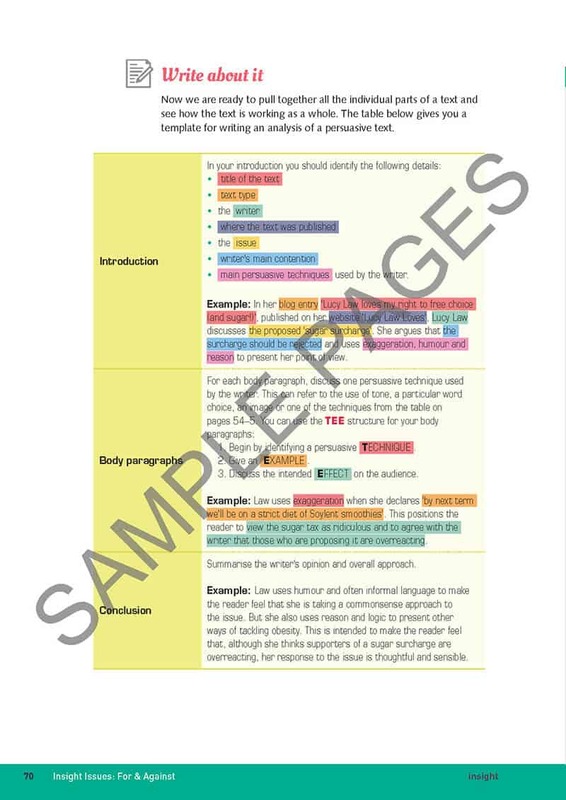 Each unit focuses on a different aspect of persuasive texts and introduces metalanguage in an accessible and purposeful way. 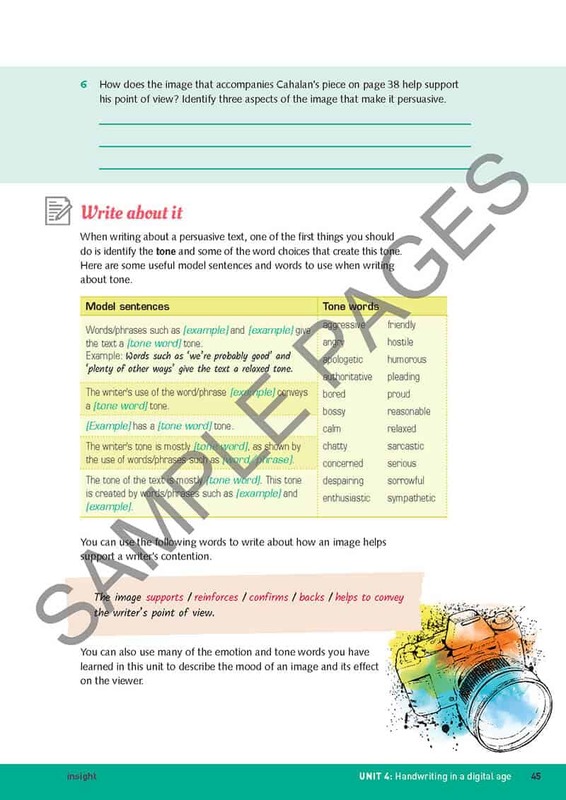 One unit focused on presenting a point of view, drawing on knowledge and skills developed throughout the book.